Have you heard of the game 5 second rule? 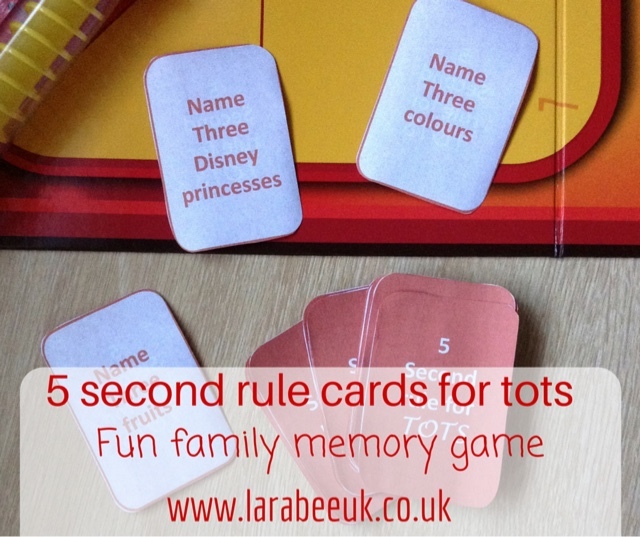 It's a family game where each player has 5 seconds to name the 3 items on their card. The game can be played simply, just with a timer and great memory to inventing 3 items or, like us you could have the board games version. 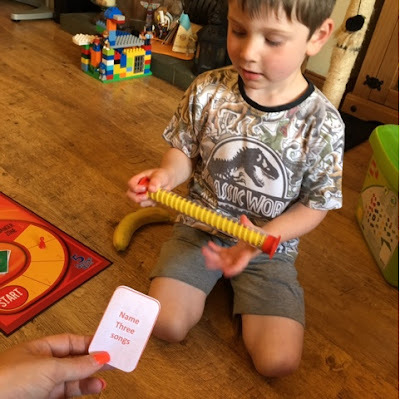 T loves to play family games and if you've followed me for a while, you probably realise by now that family time is so important to us and we like nothing more than a family games night. 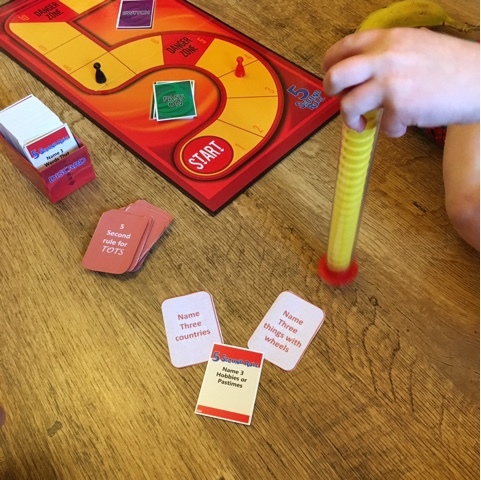 This is a particularly favourite game, but it's age 8 and over so trying to include T was getting a bit difficult, he liked having his own card but we found that trying to think of challenges on the fly was getting difficult. I decided to create some cards for him myself with some more simple challenges so he could join in with the rest of us. 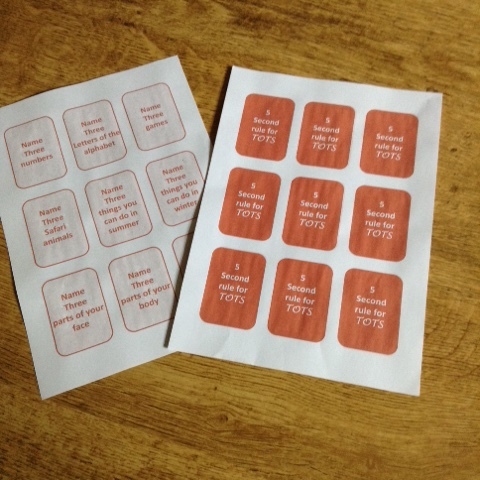 My cards are in PDF format and you can download a set of our 5 second rule for tots cards here. They can be printed on card in duplex or printed separately and stuck together. 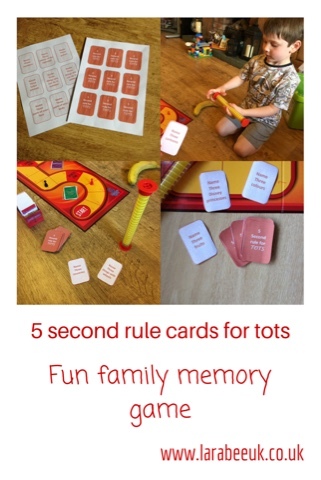 Don't feel that you have to use the board game, as long as you have a timer and a few challenge ideas, you too can play this game, you can even download an app to play the game and use these cards to include your little one! Do you adapt any family games in order to include your little one? I'd love some more suggestions to expand our family games. No, I've never heard of that game. But this will be handy over the summer-holidays :) Thank you! That game sounds great! I'll need to keep it in mind for sure. We are currently teaching our little one to play snap with animal cards, so far he's enjoying it. I love card games so o am definitely going to love this. Looks interesting.